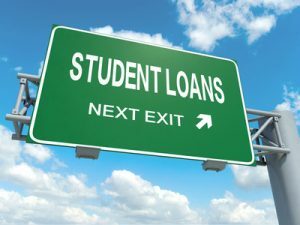 According to the U.S. Department of Education, federal student loan borrowers may be reconsidered for loan forgiveness through an expansion of the Public Service Loan Forgiveness (PSLF) Program. The federal government is temporarily expanding its student loan forgiveness program. Dr. Alana Bibeau, a lecturer at the University of Rhode Island, recently realized she made almost ten years worth of student loan payments that didn’t qualify for the federal student loan forgiveness. She brought the issue to Sen. Sheldon Whitehouse’s attention. “I just said, ‘Here’s my situation. If I’ve made this mistake, I’m going to guess there are a lot of people in Rhode Island and around the country that are making the same mistake,'” Bibeau said. The program dates back about a decade. People who committed to working at government jobs or for nonprofits were promised loan forgiveness after 10 years of consistent loan payments. But there has been confusion about which loan payments actually qualify for the program. Sen. Whitehouse called it a ‘glitch’ in the loan forgiveness program, and championed a law that allocated $350 million to student loan borrowers who believed they were making qualifying loan payments. Now, the Department of Education will reconsider eligibility for loan forgiveness using a new list of qualifying repayment plans, which includes the Graduated Repayment Plan, Extended Repayment Plan, Consolidated Standard Repayment Plan, and Consolidated Graduated Repayment Plan. The funding is limited, and borrowers will be considered on a first come, first served basis.